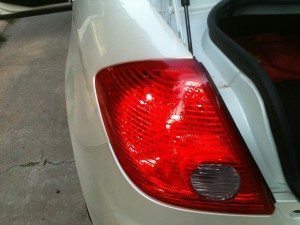 This is a quick video tutorial to show you how to replace a rear taillight bulb on a 2009 Pontiac G6. This is a simple process, but I thought there may be a few folks out there that do not how to do this. After being told the cost would be around $40, I decided to do it myself and show others how easy this is to do yourself. The bulb costs approximately $2 and will take 5 minutes or less to replace it yourself. I think the admin of this web site is in fact working hard in support of his website, because here every material is quality based stuff.